Often urbane, charming, and witty. But the feller’s really just from Missouri. You can read my September 11 Star Tribune review by clicking the image below. 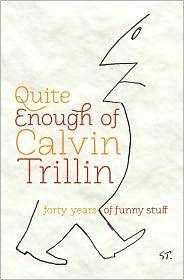 You can buy Quite Enough of Calvin Trillin at Barnes & Noble. 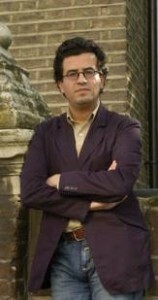 Raised early on in Libya and Egypt, novelist Hisham Matar is an American-born Libyan writer who now lives in London. In 1979, Matar’s father was kidnapped and imprisoned by the Gadhafi regime and hasn’t been seen since. Matar’s first novel, In the Country of Men, (2006) dealt with a nine-year old child’s perspective on atrocities committed by the Libyan government: kidnappings, torture, public executions. 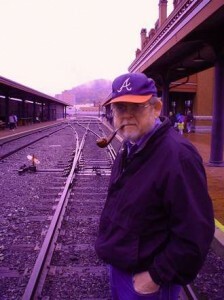 The book, semi-autobiographical, was short-listed for the Mann Booker prize and was a fiction finalist for the National Book Critic’s Circle’s award. 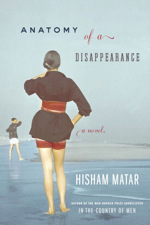 Matar’s second and newest novel, Anatomy of a Disappearance, also parallels the author’s life; it speaks, again, of loss and longing in a story that is at once poetic and mysterious. It’s 1972, around the Christmas holidays. Nuri and his twenty-eight-year-old paramour of a stepmother, Mona, are in a restaurant in Montreux, Switzerland, when she reads the news that Nuri’s father has been abducted in Geneva. Soon, Mona, young Nuri, the family lawyer Hass, and the police begin a search for Father. The search is fruitless, but Nuri tries to remain hopeful, even while he’s away in boarding school. Nuri was raised primarily by the maid Naima, who loves him like a son. Nuri returns that love. His love for Father is more complicated. He not only loves Father, a confident and elegant man who followed his own law, he wants to be him. His need for his father is intense: Nuri’s whole capacity for hope and longing are directed at his missing father. Sometimes, though, Nuri isn’t occupied by discovering what happened to Father; he’s obsessed by the physical need to be near him. He imagines detecting a whiff of Father from the man’s watch; he smells Father’s “musky warm skin, ” ) though the man is absent. Nuri’s sexual relationship with Mona complicates but doesn’t diminish his love for Father. 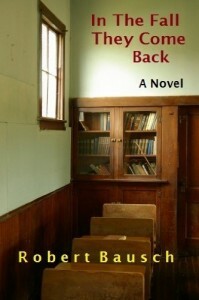 Later, at twenty-four and out of graduate school, Nuri tries again to track down Father. He pursues old leads, tracks down Hass, witnesses, and household servants, especially Naima. Some of those leads reveal an astonishing view of Father’s private life; others manifest insights into Nuri’s own. A heartfelt mystery of a novel, trenchant and poetic at just the right times, Anatomy is a topical and excellent follow-up to In the Country of Men. You can buy Anatomy of a Disappearance at Barnes & Noble.